The office of the representative of the Supreme Religious authority denies a statement attributed to him and calls on the media to be careful and accurate in the transmission of news. 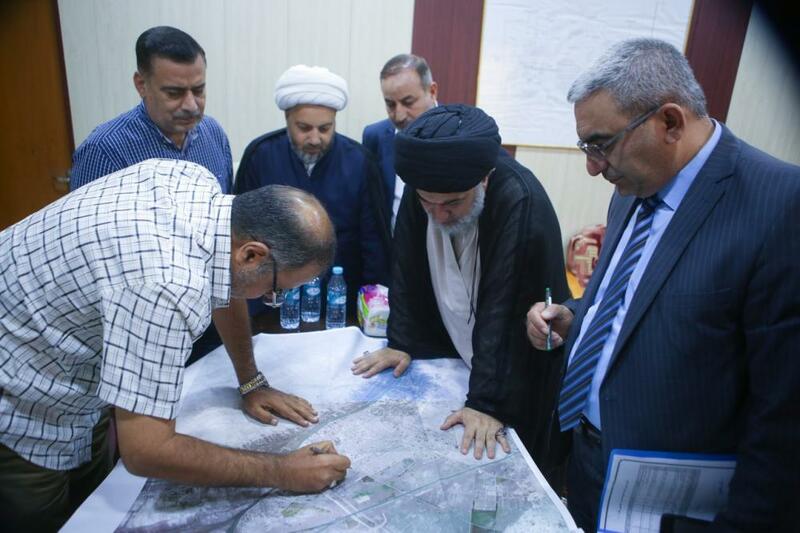 The office of the representative of the Supreme Religious authority; Sayed Ahmad al-Safi, denies what some media and social networking sites have stated, claiming that his eminence has foiled a big conspiracy against the people of Basra by preventing drinking water from them. Stressing at the same time: "This news is shameful and Sayed al-Safi did not make any statement to any media except for the televised statement which was presented on Friday September 7, 2018, in which he explained the truth on his mission entrusted to him by his eminence the supreme religious authority. The office stated that it also denies all the contents of the statement attributed to his eminence entirely, and it is far from reality and totally disgraceful. And that the truth is what was published by the official website of the al-Abbas's (p) holy shrine and the similar websites. Calling at the same time all media to be careful and accurate in the transmission of news from its official sources.